McLaren’s F1 challenger for the 2017 Formula One season. 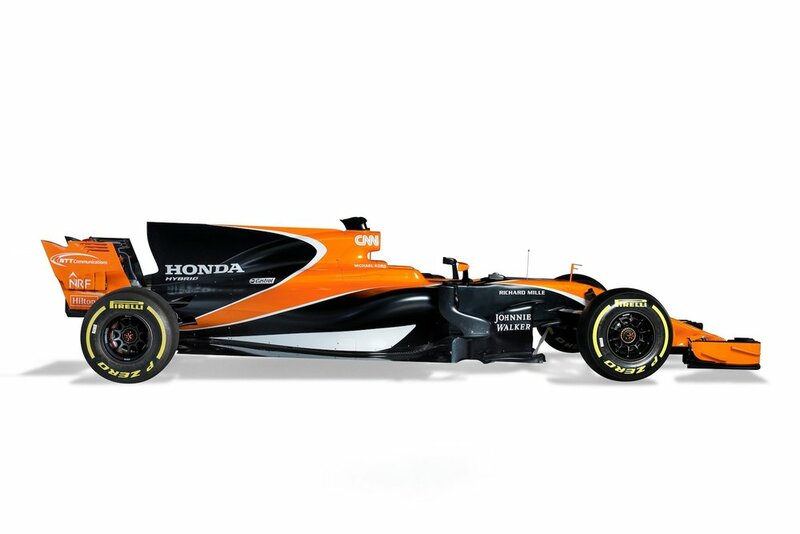 Dynamic orange and black livery reflects team’s glorious 50-plus-year history, and heralds new era led by Executive Committee and new senior management, featuring established world champion and exciting future star. The MCL32 follows in the evolutionary footsteps of its two immediate predecessors, MP4-30 and MP4-31, but it has been overhauled in every area as the design team has looked to capitalise on a series of new aerodynamic regulations introduced for 2017. The result is an extremely elegant but aggressive-looking race car, fitted with Honda’s latest-generation power unit, the RA617H, which has been thoroughly revised by the company’s team of talented engineers.